Many women experience issues related to urination, especially when they get older. This condition can be categorized into different types of incontinence, one being stress incontinence. It can be hard to manage this disorder, especially because you can't predict when it may affect you - sufferers of stress incontinence can encounter leaks at any time. Below find more information about this unpleasant condition. 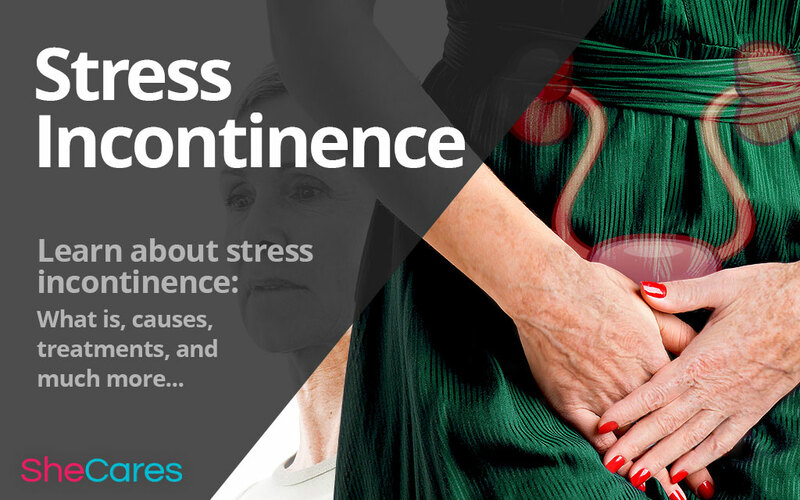 The term “stress incontinence” encompasses many different causes, all of which lead to a loss of control over your bladder due to weakened pelvic floor muscles or urethra. In sufferers of this condition, the bladder is less able to securely contain urine, which often leads to accidental leaks that occur without experiencing the sensation of needing to use the bathroom. This kind of damage to your urinary system can be a consequence of many different reasons. This area of a woman's body goes through a myriad of changes and experiences that all have an influence on its functionality. These changes, as well as other conditions and activities, can all impact the strength of the muscles that control urination. Hormonal imbalance. During menopause, hormonal imbalance, nerve disorders, and mobility problems can contribute to incontinence. Many women experience stress incontinence due to hormonal fluctuations, since estrogen influences the pelvic muscles and urinary tract. Pregnancy. Carrying a growing baby for nine months puts strain on your pelvic floor muscles, potentially weakening them. These muscles will also relax when your body is preparing for delivery, making urinary leaks more likely. Strenuous physical activity. Some women who undertake, or even have a history of carrying out arduous exercise, may suffer from damaged pelvic floor muscles. If they have been repeatedly strained through weightlifting or other intense activity, this will worsen bladder control. Age. It is a widely accepted fact of life that as you get older, your body will naturally deteriorate. Your bladder muscles - along with the majority of muscles - may become weaker, and your bladder may become less able to store the usual amount of urine. This too will increase the likelihood of a leak. Other than pregnancy, which is a temporary cause of stress incontinence, this condition may occur whenever hormone levels are in flux, such as during the menopause transition. Maintaining a schedule. Sometimes, it is possible to decrease the number and frequency of urinary leaks by keeping to a general structure regarding urination and fluid intake. Particularly, if you avoid drinking before bed, this should limit accidents. A healthy diet. Maintaining a healthy body weight by consuming a balanced diet high in sources of fiber - such as wholegrain bread, cereals, fruit, and vegetables - may help with stress incontinence. Pelvic floor exercises. This infamous technique, also known as Kegel exercises, involves practicing repetitions of contracting the pelvic floor muscles. If you struggle to grasp the method, weighted vaginal cones are available - these are designed to be inserted while standing up, and then kept in place by using the relevant muscles. If these exercises are carried out regularly, the strength of your bladder muscles should noticeably improve after two months. Stress incontinence is arguably harder to deal with than other kinds, as it is unpredictable and can cause embarrassment - especially when you are out in public. If you are one of the women who experiences this condition, take comfort in the knowledge that there are many others like you, and a multitude of options are available to manage the problem.